Most people dream of having their own little slice of a suburban dream; a loving family, a dog and a place to call home. What could be better than that? However, if you look under the surface, you'll find that things are not always what they seem. 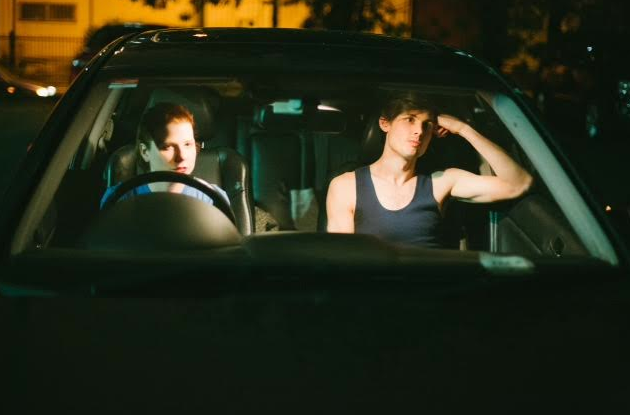 Playing as part of the 2015 Melbourne Fringe Festival, Suburbia offers a glimpse into the lives we know little about. My fellow two passengers and I meet at the steps of the North Melbourne Town Hall and are led to a parked car and the driver takes us through the streets of North Melbourne stopping intermittently at various locations where we get to witness our neighbourhood in a very different light. We don't stay at any location more than a couple of minutes and there is barely any dialogue exchanged. The soundtrack composition by Simone Gustafsson that plays in the car is perfectly suited to the theme of the night, provoking feelings of uncertainty and curiosity. It is up to us to determine the scene, relationships and mood purely by what we see. There's the couple having a heated argument in their car and the woman who is crossing the roundabout with determination. Suburbia is about showing us these snippets into the lives of those around us. Those we don't know and those we don't see. The most striking moment of all was something that lasted just mere seconds but is the creepiest thing I have seen in "real life" in a very long time and I wonder what would have happened had someone from the public just happened to walk by. Timing is off the essence with this show. As we drive from one vignette to another, there is no doubt that the rest of the cast (Cazz Bainbridge, Xavier O'Shannessy, Ross De Winter, Anneli Bjorasen, Claudia Nugent, Davina Wright and Carolyn Butler) is frantically racing to get to their next location on time, (not that this haste is ever obvious however). As we are driven around, my voyeuristic urge begins to slowly take over and I begin to look through people's windows and watch as people walk past or cycle by or those taking their dog out for a late night walk. I wonder if they're aware of what is happening right in front of their eyes. Suburbia is an enjoyable immersive experience that will linger in your mind long after the car pulls back up to the North Melbourne Town Hall. The shared experiences with your fellow passengers can be varied, (ours were), but the performance is a reminder that just because we don't see these people in our neighbourhood, doesn't mean they don't exist.